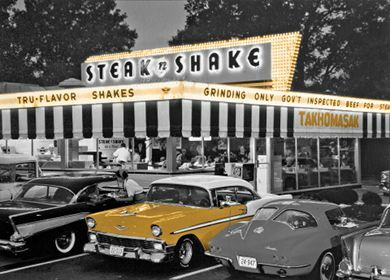 When thinking of an American diner, one sees rows of booths. The vintage furniture of Jolina perfectly complements this image. The HW-120 offers seating for four persons. 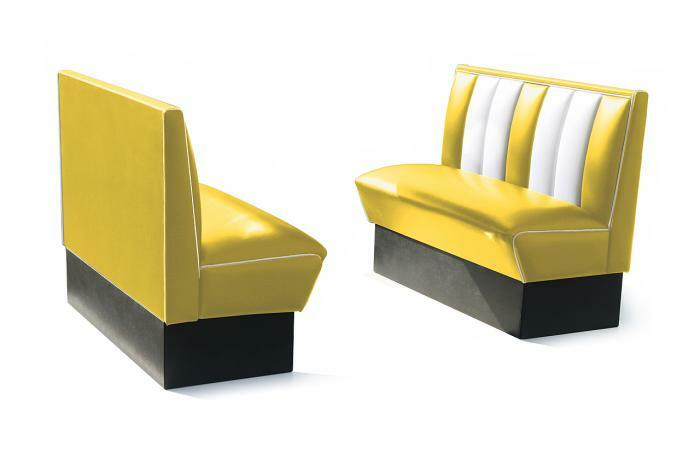 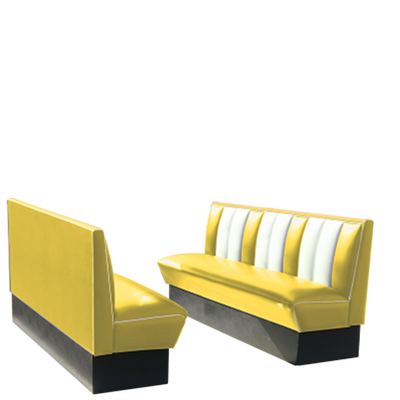 They are available in nine colors and with the remarkable white stripe on the backrest they will provide any decor with a unique fifties character.